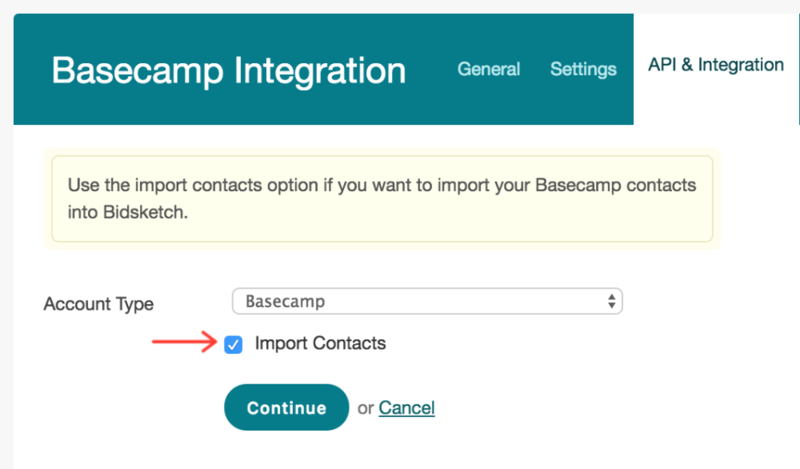 To set up your Basecamp integration, go to your account settings, to the “integration" tab. 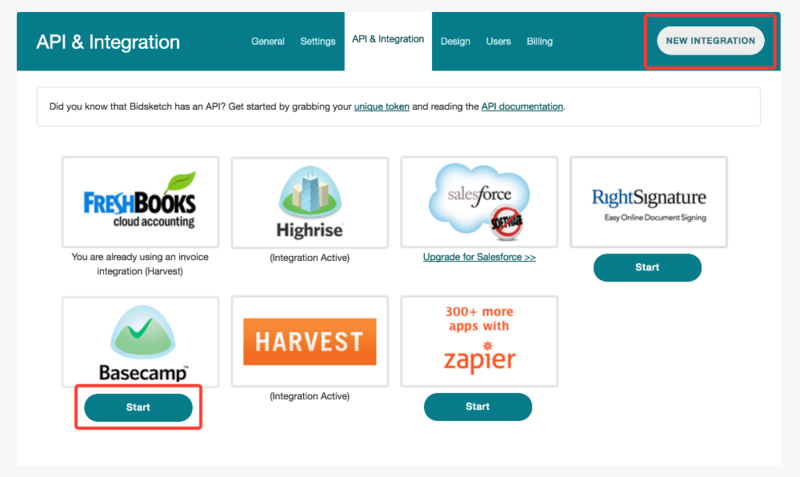 Click on the “new integration" button. Underneath the Basecamp logo click "start" to get started. From here you'll be taken to a verification form. Check the "import contacts" box, and click "continue." 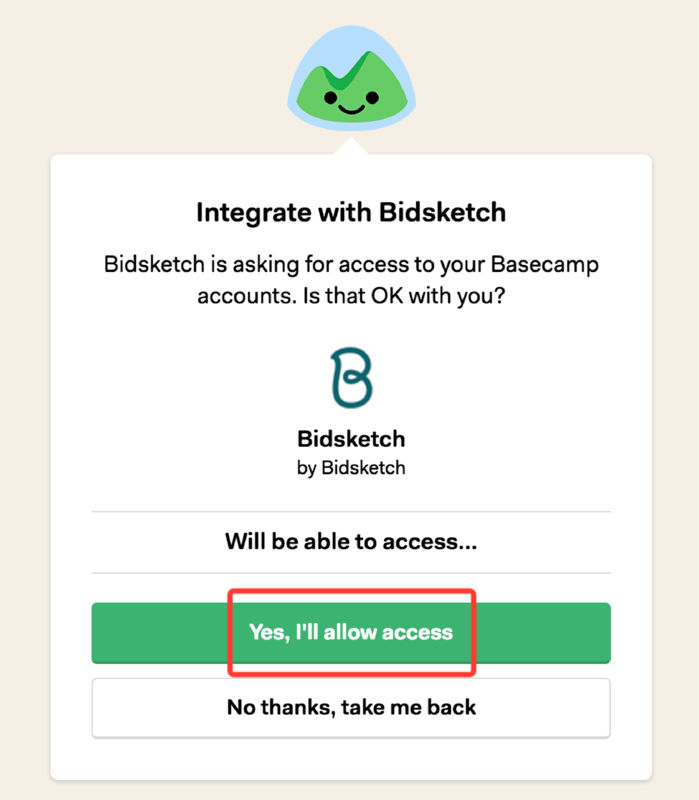 Once you've completed this step you'll be directed to your Basecamp account, where you can authorize Bidsketch. Click the "yes, I'll allow access" button. 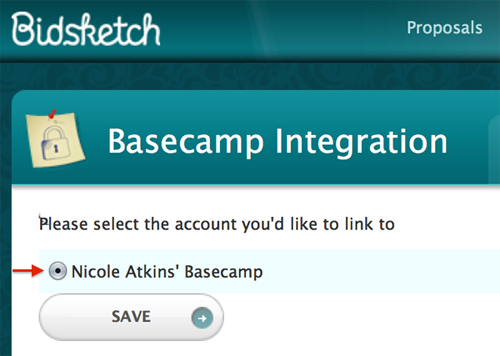 Select the Bidsketch account you want to integrate, and you're done. 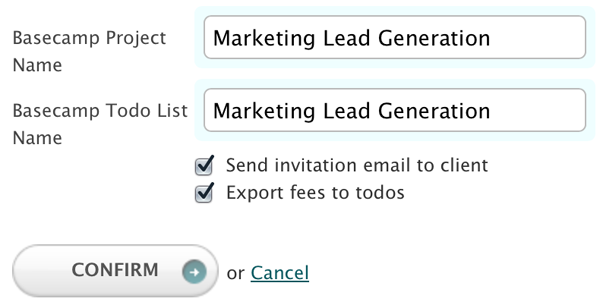 You can convert any of your proposals into a Basecamp project with just the click of a button. To do this, go to the details page of the proposal (by clicking on the title). From the proposal details page, click on the “export" button. If you click this button a modal will pop up, allowing you to create a project. You also have the option of creating a to-do list (with items from the proposal), or sending your client an email invitation to the project. 2. By manually syncing your Basecamp integration.